Sound Therapy provides a safe space for you to relax and unwind from the daily stresses of life and can help with physical, mental and emotional releases and increasing your sense of well-being. 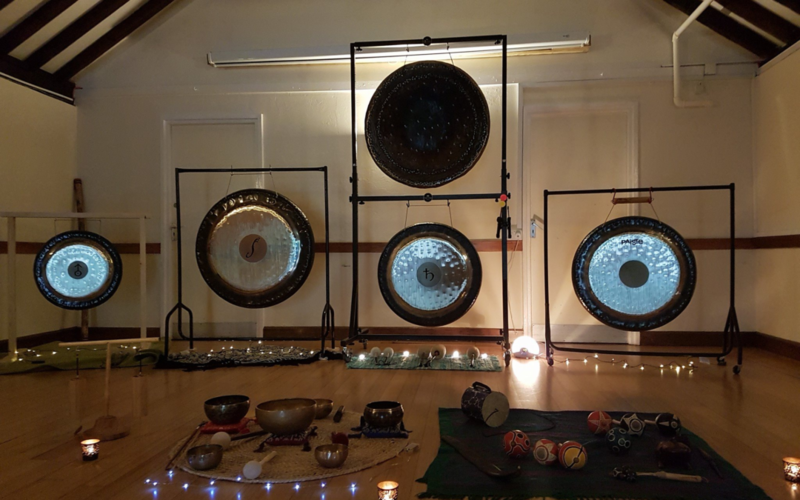 Following the gong bath there will be tea and dairy free chocolate and an opportunity to chat about your experience with me and other gong bathers. To confirm your space please email goodvibrationssoundtherapy@gmail.com with your name and contact number. If you would like to request spaces for more people please add their full name and email address. Spaces are limited to 18 and the exchange is £12 per person. Dates for 2019 11.30am-12.30pm please bring a yoga mat, pillows and blankets.